NBC News‘ upcoming revamp of the Sunday edition of the “Today Show” has drawn inspiration from its parent show for its promos — but with the addition of some unique twists. 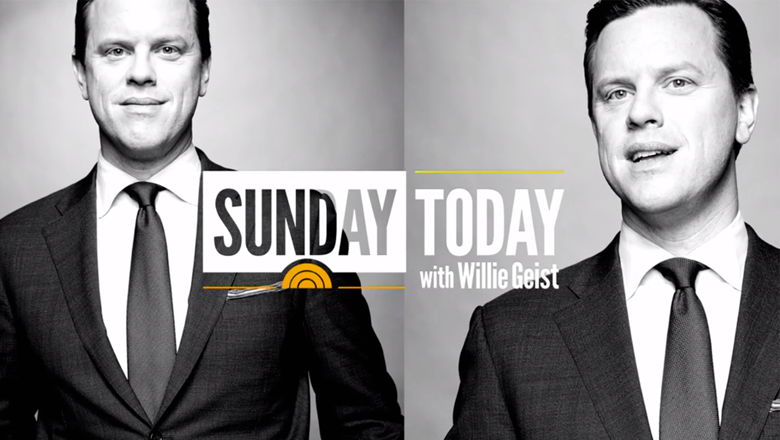 The show, which debuts April 17, is officially being billed as “Sunday Today with Willie Geist” — a moniker that’s significant for several reasons. First, it marks the official adoption of shorthand and colloquial use of just the word “Today” as the basis for its title (e.g. without the “Show”). The change also marks the use of the host’s name as part of the broadcast’s official title — something that isn’t even done on the flagship weekday editions. On those shows, hosts Matt Lauer and Savannah Guthrie do get prominent billing in the show open, but not on the actual title card or name of the broadcast. To promote the upcoming show, which is designed to better complement “Meet the Press,” NBC News is using promos that utilize black and white still photos of Geist in a variety of informal poses, along with a unique logo. The logo uses the same, more condensed all-caps typeface that’s used in the weekday “Today” opens, with the “sunrise” icon relegated to a less prominent role under the word “Sunday.” Geists’ name, meanwhile, is displayed in the same condensed typeface but in normal title case.